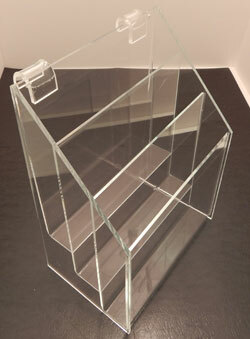 This is a double pocket slatwall brochure holder. 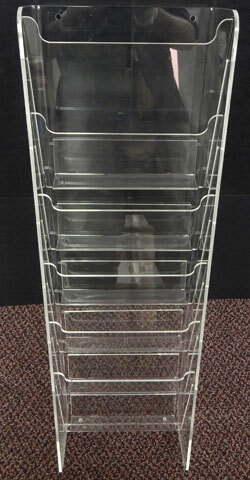 The clear design of this brochure holder is perfect for many different retail areas due to its ability to seamlessly blend in with your current design aesthetic. The double pocket design also allows for multiple brochures to be placed within one display. We use only the highest quality acrylic in the construction of our brochure holder to ensure you with the maximum durability.